Most of the luxury hotels in Barbados can be found on the western Platinum Coast, so called because of their pristine, toothpaste beaches particularly in the parish of St James. Well-known Barbados hotels include Sandy Lane Hotel, Cobblers Cove and Tamarind Cove. Excellent spa facilities are also available in some properties. More and more boutique hotels in Barbados are also springing up. More affordable options are sprinkled along the southwest coast. 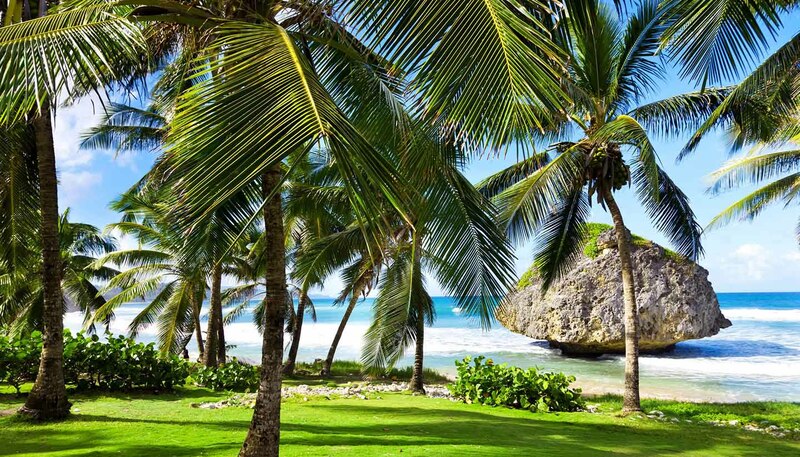 There are limited hotels on the east coast of Barbados. There are a wide range of all-inclusive hotels in Barbados from three to five star. Rates are subject to a 7.5% government tax; a service charge between 10 to 15% is also applicable at most hotels. There are small guest houses throughout Barbados, particularly along the south and west coasts. A few are also located on the east coast. Most offer self-catering facilities. Camping is not generally permitted in Barbados except for organised trips. There are no official campsites on the island. A large number of apartments, cottages and villas are available for hire, and a number of modern complexes are on the northwest coast. Older Bajan buildings are available on the east coast. Smaller apartment hotels provide a choice of self catering or restaurant eating. All rates are subject to a 7.5% government tax; a service charge of 10% is also payable at most establishments.